Yuzu is a Japanese citrus juice. It does not contain any magical anti-cancer properties as far as I know. I’m wondering what Komen does with the $6.45 it gets per bottle that doesn’t go to research. I am sure Komen does much good but, like many organizations that grow large and bureaucratic, I fear it has become more focused on perpetuating itself than on accomplishing its goals much as politicians become more concerned with getting reelected than with actual governance. Now about that birthday present . . .
Eddie, hope you got yer shopping done! I think Dr. S cornered the market on “uplifting.” Also I wonder how much FD&C red dye #40 & FD&C white #821 costs and how much it takes to make that pretty pink perfume color? Amy, I’m still laughing at the idea of our beloved Dr S cornering the market! He’d be so happy to know he’s being stroked & admired! I think with any corporate charitable campaign, if you really want to help the charity just send them the money directly. Buying a product with the label so the company will donate is an extremely inefficient way to help a cause. Those numbers you show above are depressingly typical. Which is why we love The Rose! Doing important work without wasting resources on a marketing machine. I’ve been over the whole Komen thing for a while now. And I’m gonna come right out and say it. They stole pink! Every time I turn some piece of junk is pink and sold as part of the “cure.” Many don’t even bother to say how they are contributing or even IF they are. I’m with you. 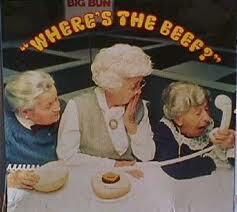 Where’s the beef? 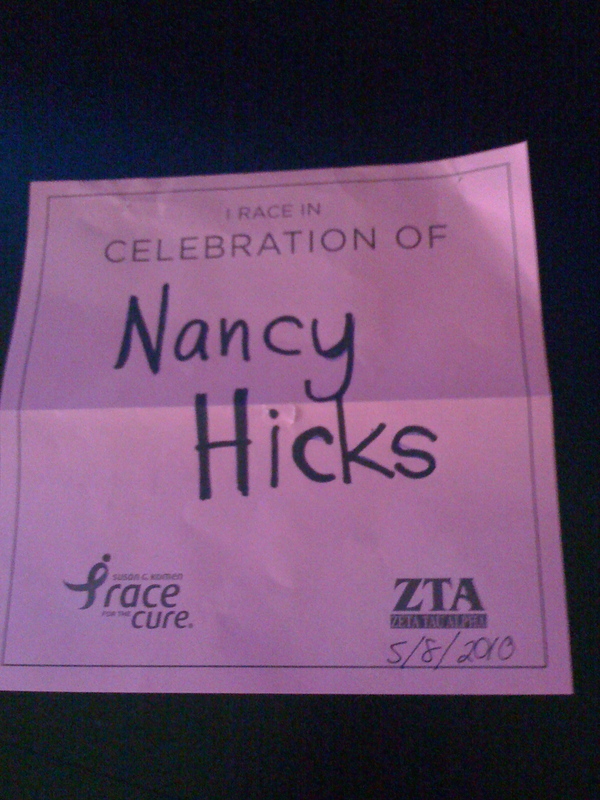 Nancy, this whole Komen merchandizing is such a sham. You hit the nail on the head with your comment “Because I think it’s the smell of innocent consumers being hoodwinked.” I hope people don’t waste their money buying me any pink breast- cancer-tinted product. I’ve had enough, and I’m glad so many voices have been raised against the movement, which is out of control. Thanks for posting. 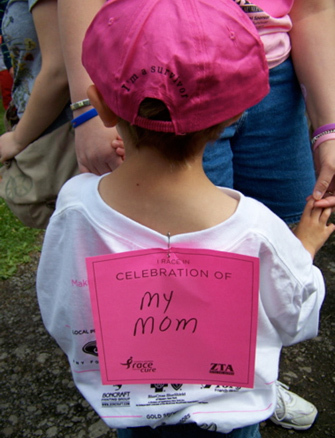 I respect Komen for all it has done to make breast cancer a recognizable problem. If you’ve read the book “Promise Me” you know that back in the beginning days the word “breasts” couldn’t be said in public, and people believed that they could “catch” breast cancer from someone else. 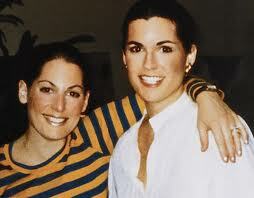 Komen research was also instrumental in finding the BRCA 1 gene mutation. We’ve come a long way, baby!! I agree that the commercialism is a problem. I buy these products IF I really want the products. I understand and agree with the frustration, but let’s not forget what has been done. 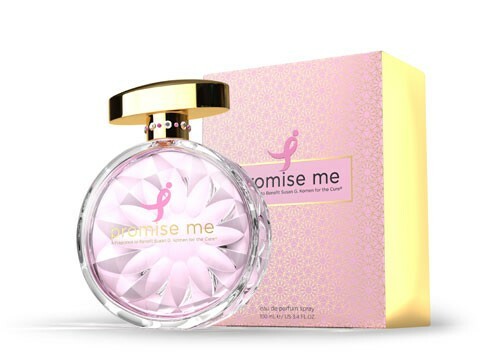 Sara, I have read Promise Me, before I knew much about Komen. I was so torn about this, and felt a bit disloyal. Komen has done a lot toward awareness & de-stigmatizing this disease, no doubt, and I hope I conveyed my respect and appreciation while expressing my feeling. I also wish to add that I found Komen to be the best of the general purpose breast cancer websites for solid factual information about the disease. I felt I would throw my mouse through the monitor the next time I saw a paternalistic “ask your doctor” (which I read as “you can’t handle the truth“) in lieu of actual data or statistics. But Komen was pretty good about including links to original sources and studies. It’s a little buried, but it’s there. So kudos to them for that. Nancy – great post. The whole perfume thing really does smell! I’ve been pondering a lot on this idea that Komen destigmatized breast cancer, because that seems to be one of the major themes when people say they are grateful to Komen. But, honestly I fear the pendulum has swung completely the other way. Yes, we talk about breast cancer, but in what terms? 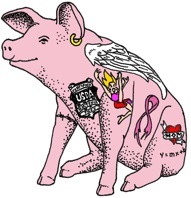 How many people actualyy know what it means to live with metastatic breast cancer? For example, I’m typing this post with one hand, because mets is affecting my ability to use my other arm. Mets are also starting to affect my voice and I always sound a bit hoarse. Do people really understand the devastating effects of treatment, surgery, radiation? I don’t think so, because organizations like Komen are so busy playing up the beauty and glamour of breast cancer, the “new normal”, the celebratory survivor, I really fear society is being misled into thinking that this is a less serious cancer. So yes, we talk about it, but society’s still not hearing the real truth. All they need to do is buy the perfume. P.s I wrote about Komen’s Charity Navigator rating and 2010 financials here if you’re interested……I was a dull CPA in my former life…;).